This is an EASY plug IIC interface conversion shield, compatible with both EASY plug interface and 2.54mm pitch header interface. But general MCU only introduces an I2C communication interface, which is very inconvenient. With this I2C shield, this trouble can be solved easily. The I2C shield breaks out the I2C communication port with both 4pin header of 2.54mm pitch and the EASY plug interface. 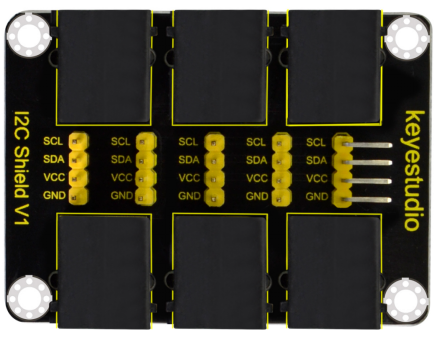 The pin headers lead to 5 communication ports, ensuring that the MCU can perform I2C communication with 4 sensor modules at the same time. 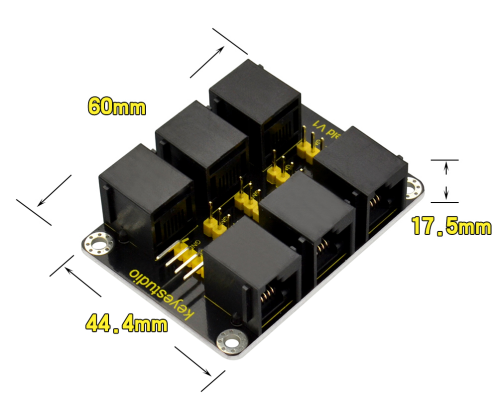 The EASY plug interfaces lead to 6 communication ports, ensuring that the MCU can perform I2C communication with 5 sensor modules at the same time. 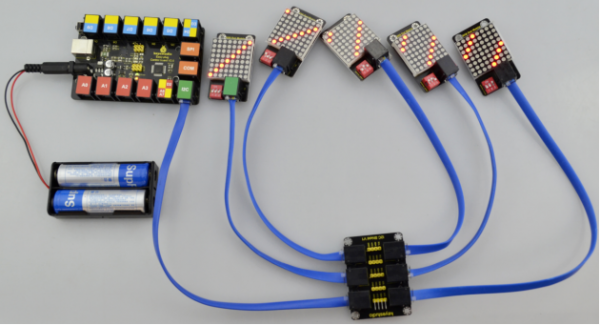 We use EASY plug Control board V2.0 and I2C shield to control five EASY plug 8x8 matrix modules (selectable address), showing different images. Shown below. 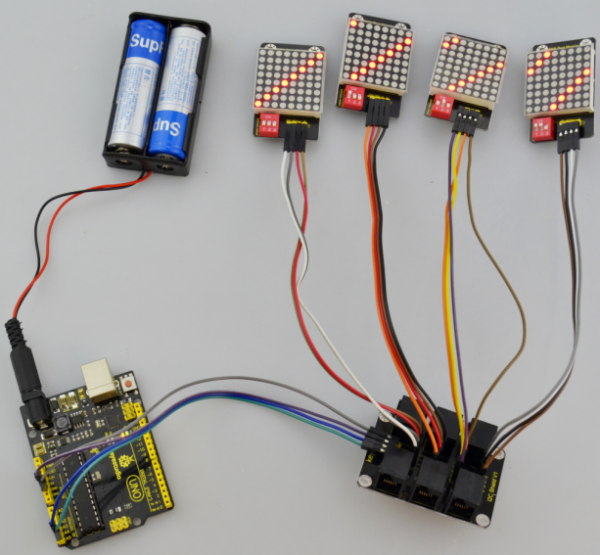 Or you can use UNO Control board and I2C shield to control four keyestudio 8x8 matrix modules (selectable address), showing different images. Shown below.